Greetings, dear ones, I am Kryon of Magnetic Service. The pause that always follows the greeting is given for my partner to exit. You might have noticed that there is no seeming preparation for this channelling. In an older energy there would be, where the Human Being has to prepare his mind in such a way that the very structure and the psyche would have to be altered. If you had certain kinds of measurements on his brain, you would see the preparation working. You’d see the various alpha and beta waves change, but not now. The reason is because some time ago he gave permission for a meld that would mean a continuous connection, a closer walk that would make him a more compassionate Human Being. At the same time, there would be no preparation for channel. He would have one foot in and one foot out of 3D all the time. So when it came time for 100 percent, all he did was step back. But the stepping back is the most difficult thing he does. All of this has to do with the Human brain - what is involved with it that you know about and what you don’t know about and what is evolving for you to now know about. The channel tonight is informative and deals with things we have not discussed before in this way. I will be bringing a new concept forward, but it won’t be complex because it’s just an introduction. However, it's an introduction to a concept of an evolving humanism. You are moving forward into a new energy that is going to change the very fabric of your consciousness. I want to explain things that I have never explained before and some of this will be controversial. Let me comment on this: You believe a certain way because you have learned a certain way. Once you have cognized something [committed belief to it], it actually belongs to you. So what we are saying is that you have a "groove" you have been thinking within for a long time. It's no wonder some of this may hit you the wrong way. But these things can be rewritten if you re-cognize them by choice. So I say to you this: DO NOT take what follows and run with it simply because I said it in channel. I want you to discern this with your own mind and measure it for yourself for viability and common sense. Make it real. Could it be that things are now different than your original training? Did the energy change? If so, is it possible that spiritual awareness has opened more areas of discovery? If you can think out of your "learned box", it may start to actually validate some of the things that you have seen lately. What you originally learned really hasn't changed. It just got bigger and looks different. The Human mind is complex. If you had to compartmentalize it and take a look at the different kinds of thinking that Humans do, it would get even more complex. It has been studied for years, but in a 3D way, the best that you have been able to do is to look at the Human mind as a succinct operation of synapse that allows survival. According to your science, the brain gives you everything. It gives you survival, it gives you intuition and mental acuity, it gives you all of your coordinated body functions – everything. You might say that it drives the boat of life. In addition, when you started studying it more, you discovered that the right and the left lobes do different things and are connected differently between men and women. Everything you studied pointed to the brain being the controller. That was the center of consciousness and all things Human. The concept we bring you this evening is that there is no single brain within the Human Being. Instead, there are three. In order for you to see this clearly in the brief time that we’re together, I’m going to give you the best metaphoric illustration I can for what’s going on. Under the pretense that you don’t know what you don’t know, you’ve done your best. What else could you have done? All you have to look at is the brain! Therefore, the brain is all there is. Come with me and play with this metaphor. It’s the best I can do to explain something very special and new. You’re in a room, taking a look at a table. It’s a workstation, to the modern Human, and on the workstation there is a computer. Almost everyone listening and in this room will recognize the instrument, and many have operated it. Most of you know what it does. However, an ancient would have no idea. So in this example, and for this metaphoric allegory, we will pretend that we have an ancient [older one] from only 100 years ago, coming forward to the workstation and being amazed by what he sees. In this story, you can't communicate with him, but you can show him the computer. So without explanation, without help, and without you being able to say anything, he sees and perceives the magic of what it can do. He can read the screen, and he can interface as he tries to figure out the mouse and the operation of the device. He starts pressing buttons, and he sees things – unbelievable things! This box does things that nobody back home will believe! The future is astonishing! He marvels at the immensity of it all. He discovers Google, but he has no idea of the concept. He sees the world at his fingertips, all in a box. It's heady to think of this power of information and action. There isn't anything it doesn't know! All of the languages of the world are in the box. Any piece of information that he ever wanted to know about anything is in the box! Anything! Then he discovers that you can type a message to just about anyone, anywhere! It's also a communication device! This is amazing beyond belief, and he eventually walks away from the experience with a solid perception of what he has seen with his own eyes! When he returns in his time machine, he can hardly wait to tell his generation of 100 years ago what he has seen – about technology and a box that does everything and communicates with everyone. It's like all the world's libraries together in a little box – all of the languages, all of the encyclopedias possible and any question you ever wanted to ask. It knows about all of the individuals known throughout history, with all the details – all that is, in the one box – and it's available to every Human Being. The perception, without any explanation, is a solid, logical one, but it's flawed. You know better, don’t you? You see, you know that the "box" is connected to the Internet. If you disconnect the computer from the ’net, it's simply a computational device. It computes. Oh, you may be able to write a letter on it, or you may be able to do a spreadsheet on it, but you can’t ask it anything, because it’s not connected! What the ancient did not understand, nor could he even begin to conceive of, was the World Wide Web. He didn’t see the tiny cord that was plugged into the base of the computer, which gave it the magic ability to know everything about everything about everything. Even if he had seen the cord, it would be meaningless to his perception. To him, the box did it all. He had seen it! Now, let me bring you back to the brain. All you had to examine all these years, as Humans, is what you think is the awesome, magic brain. You don’t know about the brain's connection to a multidimensional Internet, which is within the body. How could you? Your brain is a large and wonderful chemical, synaptic computer. Let me define this more: Synapse, as we speak of it, is the active process of electromagnetic signals going through neural matrix pathways [structured nerve pathways and bundles] within the brain. It happens from many junction areas [places] to others at lightning speed. It gives you the ability to control your survival, your body and your thoughts in 3D. Expansive thinking, as you understand it, is brain related. You’ve looked at the brain and you’ve said, "This is the creative area. It's responsible for music, artwork, poetry, sculpture and the intellect." You never saw the wire, did you? The brain has nothing to do with creating those things. Instead, it facilitates them! It facilitates them, but it isn't responsible for them. Much like the box in the metaphoric room is the control station for the ’net, your brain is the control station for much, much more. These things simply look like they are coming from the box, which is your brain. But they are not. Much of what you consider creative and/or spiritual, including channelling, is coming from the pineal connection. This includes your intuitive part, which is growing with your spiritual evolution. This is the part of your consciousness that is connected to that which you call the Higher-Self. You can call it what you want, but it's the connection from the creative source to the brain. It's there, and some use it well. Some do not. 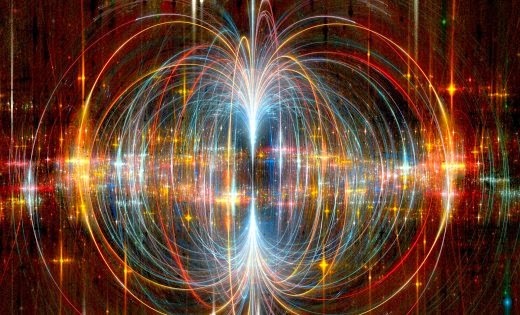 It opens wide only through free choice, and the ones who are creating incredible things are connected to the ’net – the pineal. However, you see it as happening within the brain. The invisible wire that you cannot see, the overlay that you do not recognize within the brain, is the connection to the outside that many of you are beginning to understand and feel. The brain facilitates these attributes, but it does not create them. Intuition does not come from the brain, but it’s facilitated by the brain. The brain then activates it into what you call thought. You might see it on the graphs of thermography along with all of the things you think are synapses going on in the brain, but the brain is simply processing what it is receiving from somewhere else. If you unplug the wire to the ’net, all the brain can do for you is to keep you breathing and give you basic survival thinking. You can run from the Bengal tiger so you won’t be eaten. You can grow your food, have children, and learn how to drive a car, but it won’t write music and it won’t create sculpture. It doesn’t naturally think of God! It does not analyze itself. But when it’s plugged in, it does all that. There are three parts to the brain of the Human Being, but you are only aware of two of them. We’re going to give you the third part tonight. The second brain of the Human Being, which is processed by the synaptical part (the brain box), is the pineal. This is responsible for creative thinking, intuition and intellectual awareness. Intuition is starting to grow with humanity, and it comes from that which is your innate inside the body. 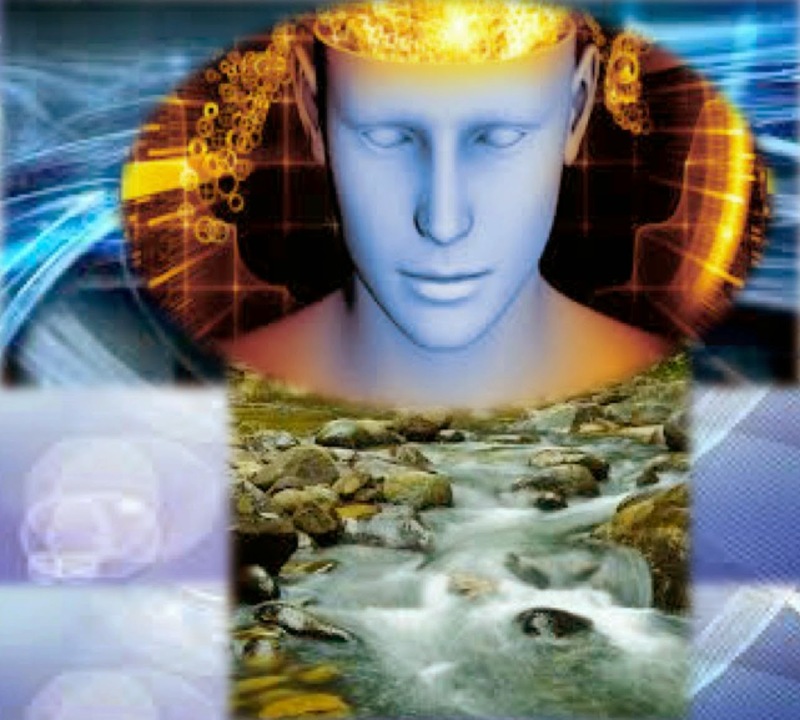 It's getting smarter and is passing more to your brain to process at a greater frequency and strength as you evolve. It also is starting to give you Akashic information (past-life remembrances). You might say your pineal ’net is getting faster, and your brain is processing it. 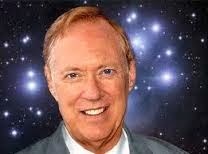 You are feeling that you are becoming more intuitively aware of things. The bridge between Human consciousness and the smart body, the innate, is starting to mature and grow up. You are getting out of pure survival mode and many are starting to awaken to a greater truth. This is all being enhanced in the Human Being to a point where Humans will think, "The brain is doing better!" It isn’t. The brain remains the brain and will process a better intuition from the pineal. The brain remains a stellar survival organ, but intuition is going to get stronger and stronger. Again, your spiritual Internet is getting faster. In this very 3D energy, you only see the one organ that you feel is responsible for everything you do, but there are actually three. 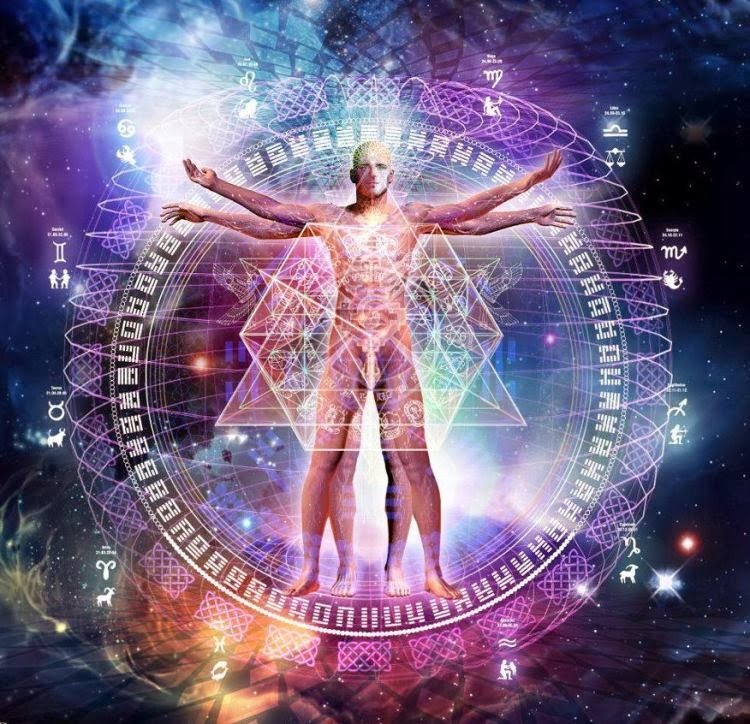 The evolved Human Being has the potential to create light [awareness energy]. I just gave you something we can study later – information that is new. 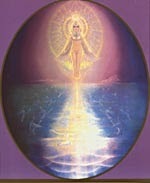 There’s a perception of spirituality being white light. It’s everywhere. You’ve seen it everywhere. There is the story of Moses and the burning bush. This was a flame that did not consume itself, but if you could really see it in reality, it was a white light. For him, it was a higher consciousness than he had ever seen before, an angelic energy coming through his pineal, projecting to him. When you have a near-death experience, you go to the light. This is more than metaphoric. You start to create something we will call divinity and mastery. White light coming from you is the higher consciousness you. The more your DNA efficiency is increased, the whiter the light gets. This is a metaphor, but there is truth often behind all mythology, and this is one of those. Dear ones, you are becoming more angelic when you start to understand the third part. We have told you before that there is a mystery going on that involves the Human heart. The Human heart, dear ones, is the third part of the brain. Science has never understood why the heart has such a tremendous magnetic field. It is actually larger than any other organ, including the brain with all of its synaptic activity. The heart overshadows it in so many ways, yet examination of the heart in a corporeal way will give information that is seemingly very ordinary. The heart simply pumps blood in a specific rhythm as sent by signals from the brain. Yet there is far more. When we started, we gave you instructions to connect the dots, and here is your chance. When a spinal cord is severed in an accident, the heart continues pumping. Brain signals that supposedly control timing and rhythm are disconnected. The signals are gone, yet the heart keeps pumping. Not only that, but digestion continues, liver function continues, pancreas and others continue, even reproduction continues! All without the brain. 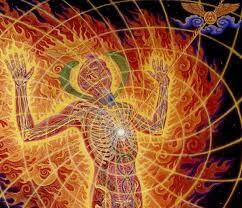 There is a third element of consciousness that is centered within the Human heart. You have identified the heart metaphorically as the symbol of love, and you’re right. These three parts to Human consciousness go way beyond the brain as an organ. It’s the trilogy of survival. It’s also represented by the three energy [in numerology] that you see everywhere in spiritual history. It's the three horses that pulled the ascension chariot, the Merkabah of Elijah. It's the trilogy Godhead of many churches [Father, Son, Holy Spirit]. In your body, it's the pineal [creator intuition], the brain [survival] and the heart [compassion]. The masters of this planet had all three working well, but in an older energy, you have not. In an older energy, you were only in survival mode. What is happening is that you are evolving, and the innate of the body is getting stronger. DNA is starting to become more efficient, and these parts are starting to finally connect. Dear ones, what separates a Human Being in survival from a master is intuitive compassion. Compassion is generated from the heart and it’s not a metaphor. It is part of the heart-brain. There are things going on in this trilogy that you should understand. Connect the dots and start using science to find out and recognize that there are things that are not visible in any spectrum you can yet measure. But simply because you are blind to it at the moment doesn't mean it's not happening. You simply have not discovered everything yet, but the advancement in multidimensional physics will help. Listen, as new physics inventions come to you, you must involve biology, too! Don't separate the two sciences [as they are now]. You will have a far better idea of the truth of all of this when you can quantum-map emotion, thinking and Human behavior. It will show itself immediately. The brain is responsible for facilitating [coordinating] all three of these parts, but be aware that the other two are doing a great deal of the work. Intuition and compassion will always seem to come directly from the brain, just like to the ancient when the magic came from the box. Connect yourself to a bigger picture, dear ones. The triad of Human consciousness is the beginning of the realization of mastery. That’s all we want to tell you now. It's something for you to digest into your logic and spirituality, is it not? Think about it and ask your own intuition, "Is it true. Could it be that the Human brain is only a facilitator for something bigger?" This information starts to explain some measurements you never could explain before with conventional biological beliefs. It starts to explain why it is when a Human Being makes certain kinds of decisions, suddenly the brain seems to control the body better. Why is it that corporeal health can suddenly change, heal itself, ask for other kinds of foods, and have biological wisdom? What causes spontaneous remission? Dear ones, unless you were connected, you wouldn’t have any of this. Think: It isn't the brain that gave any of that to you. It was the brain that simply facilitated the connection from that little wire – the Creative Source, the white light. There have been metaphors given tonight and things for you to examine, which also mean other things. It is the way that we begin the teaching of profound things. We will do it again and again, then elaborate on and on, and talk endlessly about it – all so that you will get it. It’s time you knew the grander picture of the triad, the trilogy of creation inside the Human Being. 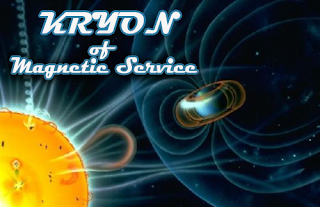 I am Kryon, in love with humanity and for good reason.